Surefire strategies for impactful advocacy. These questions came from a woman attending a non-partisan political advocacy workshop I facilitated last week. Others around the room nodded their heads in agreement, in a similar search for meaningful answers and insights in the wake of the 2016 presidential election. At the All In Together Campaign, a non-partisan nonprofit that empowers women with the tools, resources and confidence they need to fully engage in political life, it’s a question we get often — today more than ever. In the current polarized, contentious political climate, calls to action and demands to engage are everywhere: march with us. Call your Senator. Send this postcard. Sign this petition. While many of us are engaging in these tactics on behalf of the issues we care about, underneath lies uncomfortable uncertainties: is this the best use of my time? Will this make a difference at all? If not, what will? What if my representative is already representing me? These questions must be addressed if we care about sustainable, long-term civic engagement. My answer will likely come as no surprise, given the nature of the work I do: yes, political engagement matters — as long as you’re engaging strategically. At its most basic level, we can’t change any system from which we’re opting out. We also know that many of these tactics make tangible and meaningful differences. Just look at last month’s appointment confirmations: both Senator Lisa Murkowski and Senator Susan Collins, for example, cited constituent outreach as a major reason for voting against the confirmation of Education Secretary Betsy DeVos. Women’s full political participation especially matters. There are wide and persistent gender gaps around citizens using their voice to advocate on behalf of the issues they care about (a topic for a future post!) and it’s crucial that women fully engage in public discourse and political life — by embracing and using our voices — so we can have power and influence equal to our numbers. 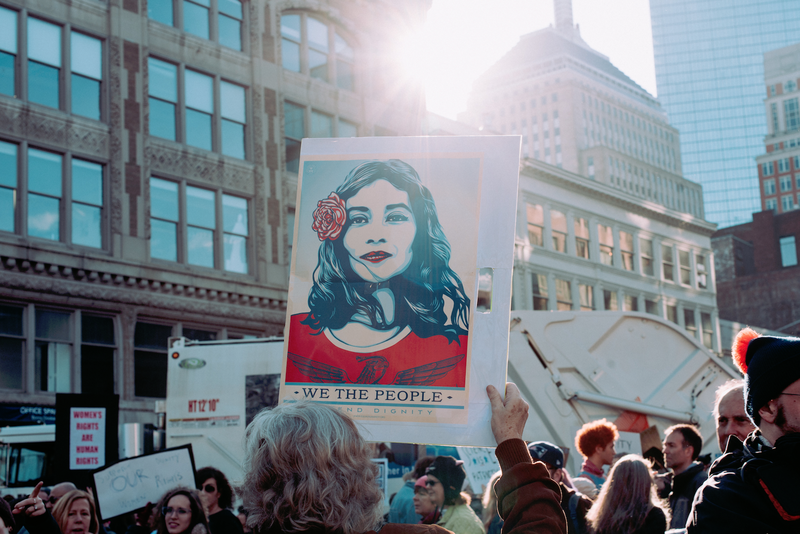 The importance of the political engagement of American women goes beyond being good citizens; it’s about driving greater equity, inclusion and reflective representation in every dimension of American society. But, as many of us know, engaging with government at the highest levels can be frustrating. It’s slow moving and slow to change (in part, because that’s how it’s set up to work). It can lead to questions about whether our advocacy even matters at all. If we want to have greater impact and influence on the issues we care about in our communities, we must commit to engaging in a way that is focused, strategic and local. 2. Know who represents you. Many of us know our Senators — but how many of you know your State Senator? Your State Representative? How about your City Councilmember? As citizens, we have multiple levels of representation but tend to focus our efforts on the most visible leaders at the federal level. However, local leaders are more accessible and eager to connect with constituents. Use the All In Together Action Center to learn more about your local political officials or to contact them to set up a meeting on your core issues. 3. Identify (and leverage) existing channels to make your voice heard. When we think about op-eds, it’s easy to think immediately of submitting something to the New York Times or Wall Street Journal and become intimidated. Identify a local paper and submit a letter to the editor or op-ed there. Not only is it much more likely to be printed, representatives (and their staff) actively read what constituents are writing in local papers. 4. Make it personal. When we look at the type of advocacy activities that are most influential, there’s compelling research from the Congressional Management Foundation that shows that the more personal the outreach, the better (in other words, personal emails or phone calls carry much more weight than form letters or petitions and in-person meetings are best). Use those opportunities to tell your story — why does this issue matter to you? How does it affect others in your community? Stories stick. This isn’t just a roadmap for the next 4 years or the next 8. It’s meant to be evergreen. After all, full participation in political life is necessary not just in moments of opposition — it’s critical at all times. Let’s get started. Interested in learning more about how to engage in the political process more effectively? Subscribe to the All In Together Campaign newsletter.